Pendant-E8F8L50 is monolith decorative element with size about 50mm and based on sketch 8 with form 8. 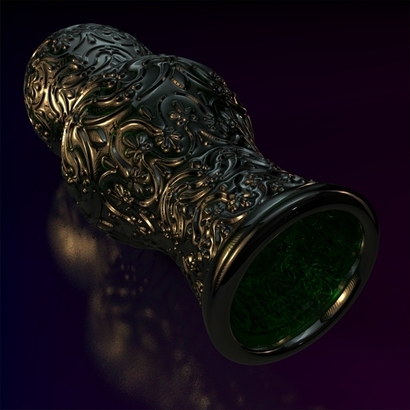 Beautiful in most materials (http://especially with custom textures). This exclusive design has many small elements - please check solidity test before order. If solidity check is fail - please try oversize to get good result. Single solid (closed) object was checked for errors and ready for 3D printing. Unbiased renders. Hi-polygonal glide structure. Here is your 3D printed Decorative, Jewelry, Indoor design, Pendants and Necklaces! Pendant E8F8L50 was created then sold by Pangu so you can modify it, make it as you wish then use it regularly! Pick more than 75 various 3D printing components to conceive this 3D printing model so it corresponds to your lifestyle or the need and style of the person you desire to give it to. Pick out the 3D printing component which your needs, the coloration that suits your disposition, the size you need your Pendant E8F8L50 in and you will have it 3D printed very soon. Thanks to Sculpteo Marketplace, you are able customize this concept invented by Pangu and instantaneously have an appreciatiation of the way the 3D printed article will look like. 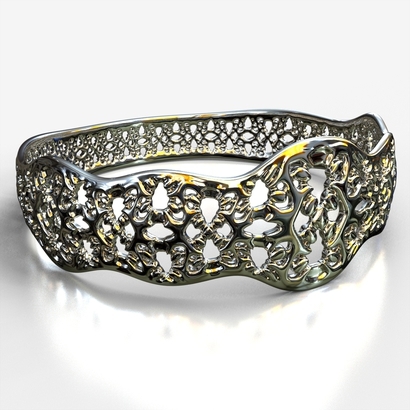 If you happen to doubt and are not a 3D printing adept yet, we'll also give you recommendations to ameliorate your Pendant E8F8L50 and make the best of the creativity Pangu put in it to conceive a truly exceptional and custom Decorative, Jewelry, Indoor design, Pendants and Necklaces. If you need to have Pendant E8F8L50 3D printed for your own use or for someone you will let you to follow it until it comes to you. You could change the design of this 3D model and modify bits to truly obtain a one-of-a-kind article, do not wait to adjoin tweaks and make this 3D printing design more unique and perfect for your temperament. And if you love Pendant E8F8L50, do not forget to look at the others 3D models imagined by Pangu to design other great 3D printing items!